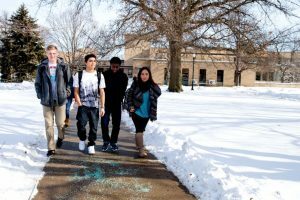 Boys Town began in 1917, when a young Irish priest named Father Edward J. Flanagan opened Father Flanagan’s Home for Boys and welcomed in all boys, regardless of race or religion. Today, the village of Boys Town is home to more than 400 boys and girls. Tours of the famous Village begin at the Visitors Center, where a step-on guide greets the bus and conducts a driving tour through the village. Tour passengers discover how Boys Town’s programs developed and how Boys Town continues to change the way America cares for children, families and communities. The Hall of History museum presents the first 100 years of Boys Town’s history through permanent exhibits that use audio and video presentations. Some of the artifacts on display include the Best Actor Oscar presented to Spencer Tracy for his role as Father Flanagan in the film Boys Town and the Flxible Visicoach bus that once carried Boys Town athletic teams across America. The Father Flanagan House museum is the former residence of Boys Town’s founder, and the home’s décor reflects the year 1929, when Flanagan would have been in residence. 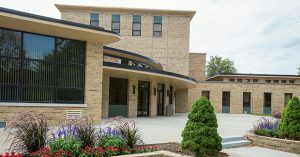 Rising from the landscape in the tradition of a 15th-century Gothic church, the Dowd Memorial Chapel of the Immaculate Conception has stood at the center of the Village of Boys Town for more than 60 years. The Herbert B. Chambers Protestant Chapel of the Nativity of Our Lord is the spiritual home for the village’s Protestant youth. The Chambers Chapel’s Gothic architecture was specifically chosen to complement Dowd Chapel. 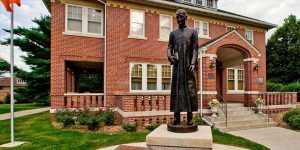 Both chapels stand equidistant from “The Work Continues” Statue, the new bronze statue of Boys Town that was unveiled for the nonprofit’s 100th anniversary in 2017. Their experienced and friendly tour guides offer groups an insider’s perspective on life in village and share stories about the special moments and figures that make up Boys Town’s illustrious past. Passengers can augment their physical tour with the Interactive Boys Town Tour; all that is needed is a Smartphone. By simply scanning a QR code, visitors gain access to photos and videos of the village’s top attractions. Tours can be customized to fit the group, and can include, among other options, a picnic lunch, dining in the café or attending a religious service in one of the chapels. For more information, phone (800) 625-1400 or visit boystown.org/tours. No trip to the heartland is complete without a stop at one of the world’s finest science education centers and space museums—the Cosmosphere. Visitors to Hutchinson, Kansas, are amazed that a place like the Cosmosphere exists outside of a major metropolitan area, but it does. Founded in 1962 as a place for the community to see planetarium shows and learn about science and astronomy, the Smithsonian-affiliated Cosmosphere currently features one of the most significant collections of U.S. and Russian space artifacts in the world. To continue reading click here. Welcome to Adams Mystery Playhouse, Colorado’s only full-time interactive Murder Mystery Dinner Theatre, producing interactive comedy shows since 1990. Your group will remember this event for years to come as you can rely on a unique and quality entertainment experience. Thanks to these happy reviews, you can also depend on Adams’ staff: Voted “Best Theater” on Denver’s A-list; 4.5 stars on Trip Advisor; 4.7 on Facebook reviews and People Love Us on Yelp. The signature productions at Adams include performers who have graced the stages of Los Angeles, New York and Chicago. Adams’ special brand of actors can be seen in film, T.V. productions, cruise ships, comedy clubs and musical productions all over the country. To continue reading click here. In addition to housing civilian and military aircraft, Fargo Air Museum is a longtime supporter of service people from all branches and eras. The museum hosts a complimentary coffee and donut social every second Wednesday monthly from 10 a.m.-noon at no charge to veterans. More often than not, members of various area military assistance programs are in attendance, spreading knowledge & support to visiting veterans. To continue reading click here. The Stafford Air & Space Museum, in Weatherford, Oklahoma, is named in honor of legendary test pilot and astronaut Lt. General Thomas P. Stafford, born and raised in Weatherford. His mother came to Oklahoma in a covered wagon and lived to see her only child fly to the moon. Stafford was among the second group of astronauts selected by NASA in 1962 and flew four historic space missions. For his efforts as Joint Commander of the U.S. and Soviet Apollo-Soyuz mission, Stafford received a Nobel Peace Prize nomination and has received the Presidential Medal of Freedom and the Congressional Space Medal of Honor, among other awards. To continue reading click here. National Museum of the Pacific War honors the millions of Americans who met and defeated the greatest threat to freedom and democracy of the 20th century. It is the most comprehensive and engaging museum dedicated to the Pacific War and the perfect veteran-friendly stop for a motor coach bus tour. 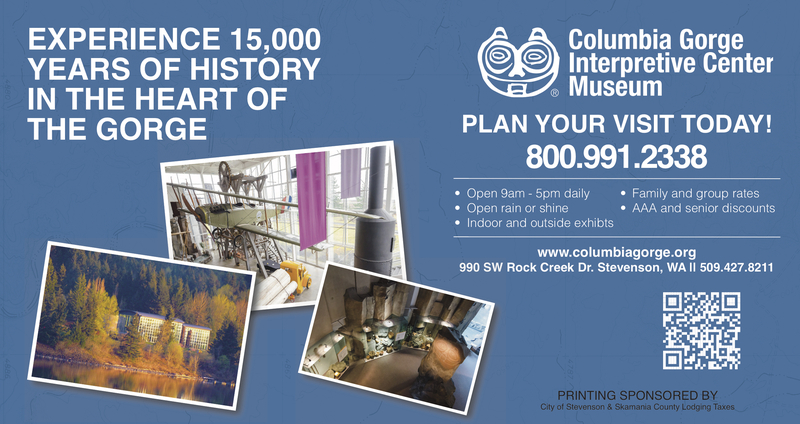 Spread across more than 6 acres, the complex has more than 50,000 square feet of indoor exhibit space, including modern, interactive exhibits, state‐of‐the‐art media and an extraordinary array of unique artifacts in addition to the outdoor exhibits that also line the campus. To continue reading click here. 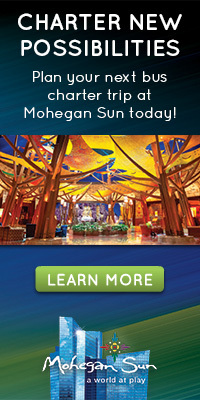 A new adventure awaits motorcoach tour passengers at Prairie Band Casino & Resort. As soon as they walk through the doors, they are open to endless gaming possibilities, surrounded with so many ways to be entertained, all while eating the most delicious food. At the end of the night, when after exhausting their ability to play, eat and drink, bus passengers have the option to settle into a comfortable bed in a luxurious hotel room. Owned by the Prairie Band Potawatomi Nation, the Prairie Band Casino & Resort is the best bet for motorcoach tours in Kansas. It brings the newest games, the best food, EPIC Entertainment and superior service. To continue reading click here. Visiting America’s National Parks is always rewarding, offering exceptional access to nature, history and inspiring stories. But 2016 promises an even greater experience, thanks to two significant anniversaries: The National Parks Service Centennial and the 75th Anniversary of the Completion of Mount Rushmore National Memorial. With multiple parks and monuments within a short driving distance, including world-famous Mount Rushmore, Rapid City is the place to be for anniversary events in 2016. Whether you catch special programs throughout the year or plan to be on the scene for the grand anniversary events, 2016 will be a banner year for a Black Hills Vacation. Make this the year you discover the transformational power of exploring a new trail, communing with nature or being touched by another era – right in Rapid City.et list-worthy experiences, Rapid City, South Dakota is the ideal touring destination where every day has big potential. To continue reading click here. Kearney is situated on Interstate 80 in south central Nebraska and along Highway 30 (a.k.a. Lincoln Highway), the halfway point, 1,733 miles from San Francisco and 1,733 to Boston. Kearney is the ideal mid-point stop when headed through Nebraska. There are 1,700 affordable hotel rooms, which are conveniently located less than a mile from the interstate. Your group will find comfort staying in one of the many limited-service hotel chains that serve a hot and hearty complimentary breakfast. If your group prefers a full-service property, a couple of those are available, too. To continue reading click here.